The winter season is an ideal time for Atlantic Canadian recreational boaters to check and review their vessel’s equipment. While most boatowners will take this downtime to inspect hulls, sails and engines, the most important pieces of equipment that should be carefully checked are sometimes taken for granted — lifejackets and personal flotation devices (PFDs). You are required by law to have a lifejacket or PFD on board for each person on a watercraft. This even includes human-powered craft. A lifejacket is your best defense against cold-water shock. Research shows that unexpected immersion in cold water is a serious risk to life if a boater is not wearing a flotation device. This is true despite the boater’s experience, closeness to shore and even swimming ability. A sudden fall into cold water can seriously affect breathing, nerves and muscle strength. A lifejacket gives you thermal protection, as well as keeping you buoyant. Almost 90 per cent of the 180 Canadians (on average) who die every year in boating incidents were not properly wearing a lifejacket or PFD. Nearly 70 per cent capsized or fell overboard from a small open boat. Lifejackets and PFDs on a vessel should be checked regularly, be well maintained and replaced if necessary. 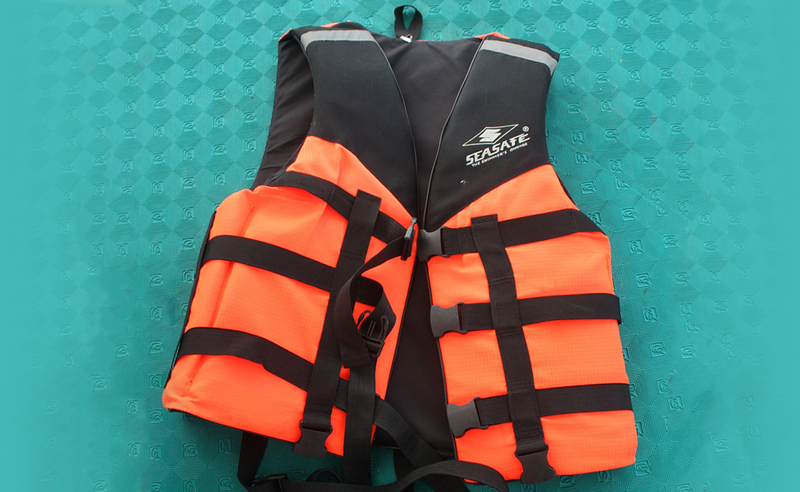 Treat your flotation device as an investment and take good care of it. Devices that are ripped or in poor condition are not considered approved. Lifesaving equipment should never be kneeled on, sat on, or used as a fender for your boat. Please take the time this winter and check your lifejackets and PFDs. Look for a lifejacket or PFD with a label that says the device has been approved by any of the organizations: Transport Canada, Canadian Coast Guard or Fisheries and Oceans Canada. Ensure that straps, buckles and zippers are clean and in good working order. Tug on straps to ensure they are well attached with no sign of wear. Dry your device in open air and avoid direct heat sources. Store it in a dry, well-ventilated, easily accessible place. Do not dry clean. Use mild soap and running water to clean. Some boaters often take this critical piece of equipment for granted and in some cases don’t even know where they are stored on a boat. Now is the time to check your lifejackets and PFDs because if something happens out on the water, wouldn’t it be good to know in advance that this critical piece of equipment is accessible and in good working order? Your life might depend on it. No Replies to "Your Most Important Piece of Equipment"